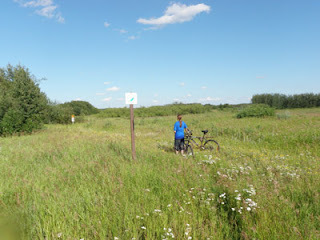 PJ and I went to Good Spirit Lake to ride the trails. 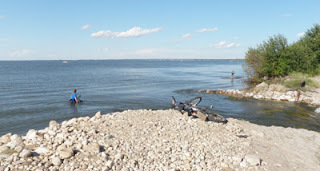 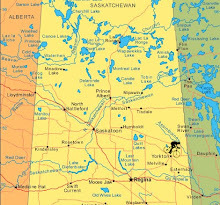 Here are a few pictures, I will try to post the rest on the site www.arctictoboggan.com before I leave on the trans-Saskatchewan canoe trip, but that may be wishful thinking. 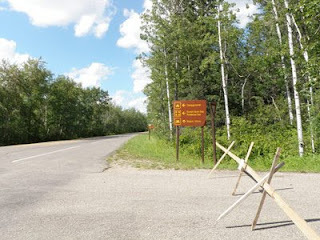 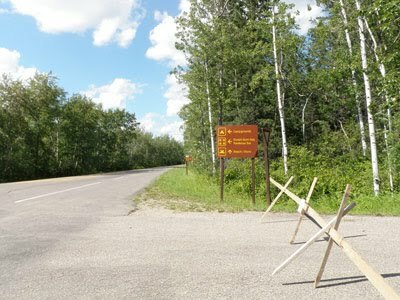 After entering the park, the first right will take you to the Trans Canada Trail. 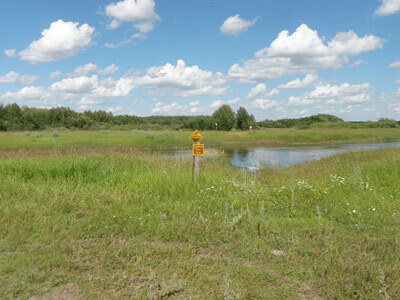 After a couple of kilometres the trail will cross a small river. 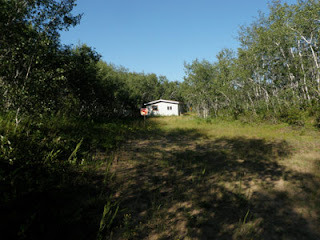 We decided to head upriver to the lake to make our ford on a more solid bottom. Back down stream we could easily find the trail. 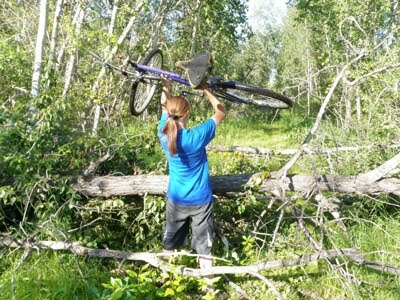 There were lots of fallen trees across the trail. 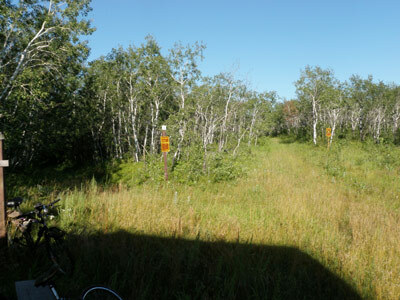 The trail did not seem to be used much in the summer, but a local cross country ski club uses the trail in the winter. They say it is bad luck when a black cat crosses your path. 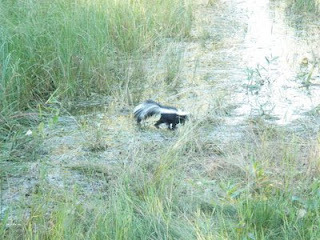 We stayed far back from this black cat with a white stripe. About five kilometres from the start of the trail we came to the ski club cabin. 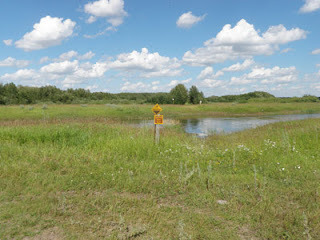 The Trans Canada Trail continued, but this is where we turned around. Perhaps we will come back in the winter and ski this section of the Trans Canada Trail.